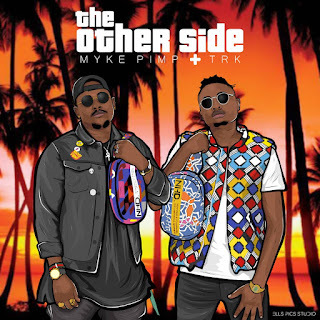 Having seemed to have gone off the radar for a minute Myke Pimp has been busy behind thye scenes and returns with the first single off his collaborative project with rapper/producer TRK simply titled Ndibatsireiwo. Having seemed to have gone off the radar for a minute Myke Pimp has stayed busy behind the scenes and returns with the first single off his collaborative project with rapper/producer TRK simply titled Ndibatsireiwo. Right off the bat this song has a different vibe from the hard-hitting trap beats we are used to hearing Myke Pimp on and may speak volumes on what to expect on the other side of their collective project, having worked together before on Myke Pimp's Get Mine off Yuckmouth. Are you feeling the vibe on this new sound?